I found a treasure on The Bay! Right now I am completely fascinated by IR photo. 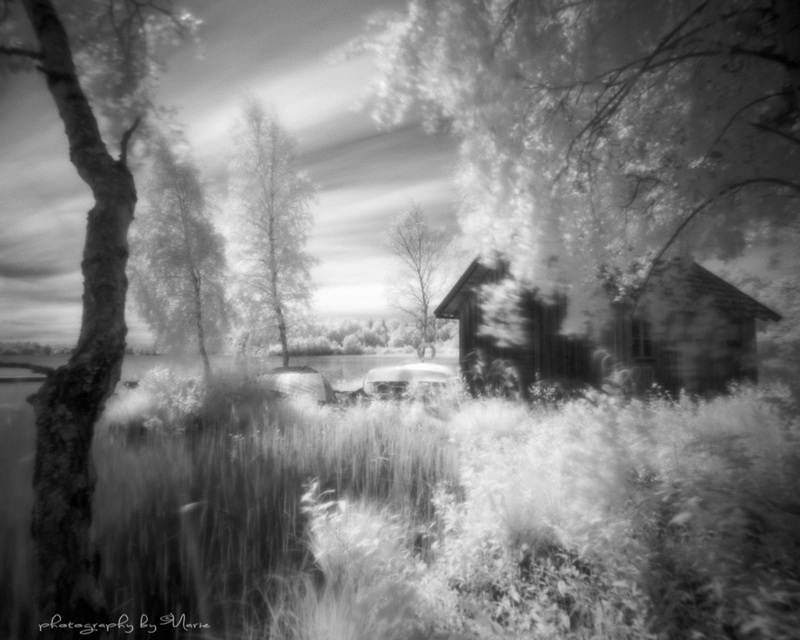 I’ve tried both Efkes unfortunately discontinued but wonderful IR820 and Rollei‘s IR400. 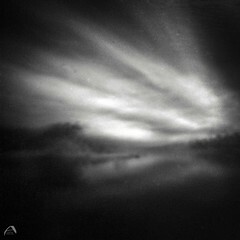 Rollei IR400‘ve got the huge advantage of being produced and sold in a variety of formats, but it is not as good at reproducing the sky as Efke. Trees and other vegetation, however, I think becomes very good, at least if I overexpose the film slightly. Happy and surprised I was when I “googled” for Efke IR 820 in 4×5 format, and found it at a seller on Ebay. I tend to be very careful with stuff like that, and checked up on this seller properly. He has an extensive catalog, send free shipping internationally, and has 100% customer satisfaction. I tested the film and it is wonderful, don’t you think? This image has an exposure time of almost 19 minutes, and it was blowing that day, but it almost feels , right? Enjoy, and have a lovely summer weekend! Really good! I like the foreground, the trees and, of course, that fabulous sky!!! Marie, that is a gorgeous, dreamlike image. 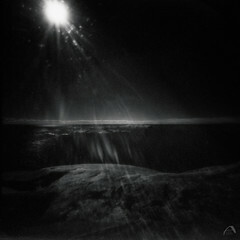 Pinhole + IR is fab combo! 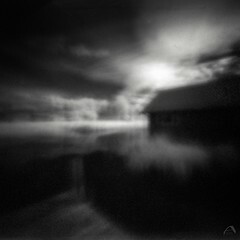 It seems to me that IR and pinhole can produce a real work of art (in your hands) rather than ‘just’ a photograph. I’d be very happy to have this one on my wall. It would be a honor to me if it could hang on your wall! Yes, there is something very special about IR, a feeling I can not describe completely myself, but I like it a lot. Lovely composition – love the tilt! uau, that’s great one! In Samobor, Croatia, where Efke was produced, they still have some IR films in various formats. If you’re interested I can find out the price. It would be rather interesting to know some prizes though… On Efke IR 820. If it is not to much trouble for you. Please send me a mail if you find something interesting. Wow, is this for real? It looks so much like a painting! Well done!